Though ironing fabric is meant to make it look better, it only takes a little carelessness to leave an unsightly scorch mark. Scorch marks are the result of leaving a hot iron in one place for a little too long. The fabric is still salvageable if this happens--a little quick thinking and some household products are all it takes to make scorch marks disappear. It can be frustrating when irons make fabric look worse rather than better. Saturate a clean white cloth in 3 percent hydrogen peroxide. Place the cloth on top of the stain making sure to cover it completely. Iron over the cloth with an iron on a medium heat setting. Lift the cloth and check to see how much of the stain has been lifted. Move the cloth around so that a clean area of the cloth is now making contact with the stain. Iron over the stain again to transfer as much of the remaining stain onto the cloth. 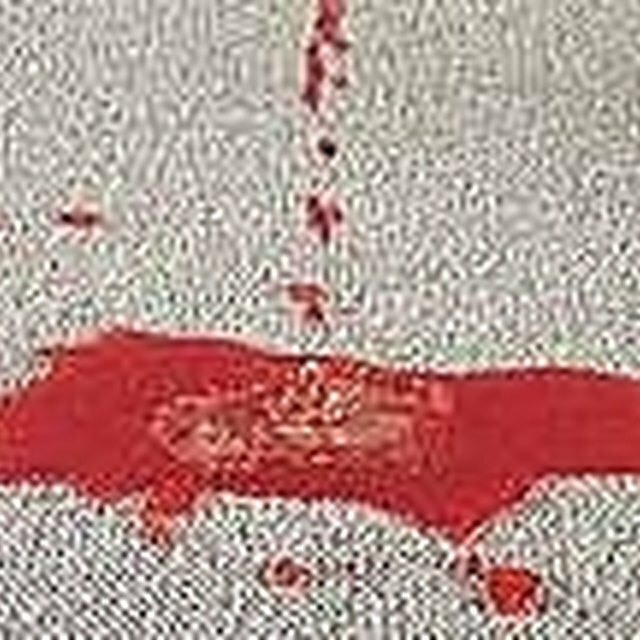 Repeat this process with a clean cloth is necessary until the stain is gone. Test a small inconspicuous area of the fabric with the hydrogen peroxide before using it to eliminate the scorch mark to be sure it won't fade the fabric. Wipe the area with white vinegar to remove scorch marks on fabric that may fade. Small scorch stains can be removed by dampening a cloth with white vinegar and gently rubbing away the stain with it. Burned fibers, melting or shiny areas cannot be restored. This method only works for mild scorch stains.